I have the great honor of hosting Canadian artist and writer, Franke James, for this new BlogActs Guest Series on La Marguerite. Franke James’ unique philosophy on fighting climate change is to ‘do the hardest thing first‘, so she can relax and enjoy life! James environmental visual essays have been featured in newspapers, on radio, TV and many online blogs including Treehugger, Worldchanging, Eco-Sherpa, and What is the Next Message. Franke adapted her ‘Green Winter‘ visual essay into a narrated animation, with music composed by David Gray, Big World Songs. It was recently featured in her presentation ‘Six Tools to Make Climate Change Art‘ to 150 high school students at The McMichael Gallery. ‘A Green Winter’ will also be published in an anthology of readings for Canadian university students entitled Perspectives on Contemporary Issues, to be published by Thomson, Autumn 2007. James has a Masters Degree in Fine Arts from the University of Victoria, and a Bachelor of Fine Arts from Mount Allison University. Thanks Marguerite! I’m honored to be your first BlogAct. It’s an inspired idea. I look forward to seeing all the great green things people are doing. Hi Marguerite, I always dry everything ‘au naturel’, but I have never had a drier (live in Europe), so not much choice there. The secret to softer towels (and everything else) in my experience is not overdrying. As I explained it in , they should not feel wet but should still feel ‘cold’, if that makes sense. Try it. People have told me that it works. Oh oops sort of messed up that link there, sorry. Thanks Alina, I will try it! I like that idea of drying clothes inside out. The sun recently faded a lovely top… so Alina’s tip will stick. But those towels are still scratchy. Somebody must have a good solution…. The fabric softener helps but only a little. It’s great to save energy whenever we can. 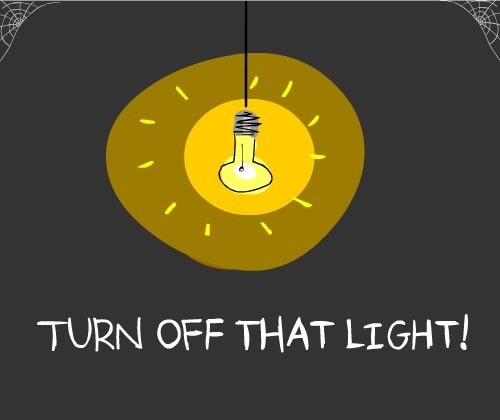 However, per the first law of thermodynamics, if you’re heating your place, turning lights or appliances off doesn’t make you save any energy.